’Tis the Season for Guests Arriving. The tree is trimmed, the stockings are hung, and the doorbell is about to chime. Family and friends are on their way to spend the holiday with you and yours. 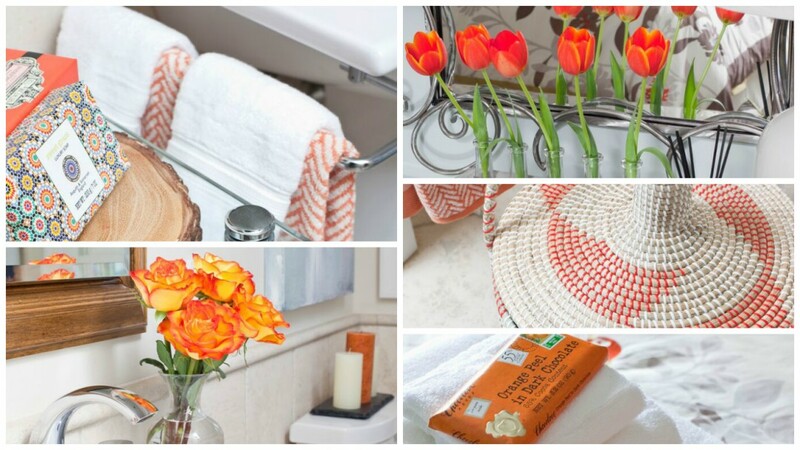 But what can you do to make your overnight guests feel right at home? Think, “Boutique Hotel” and you’re well on your way. 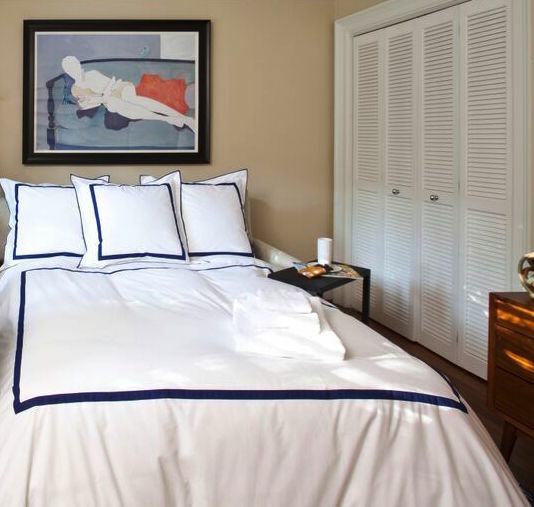 You can never go wrong with crisp, white sheets. 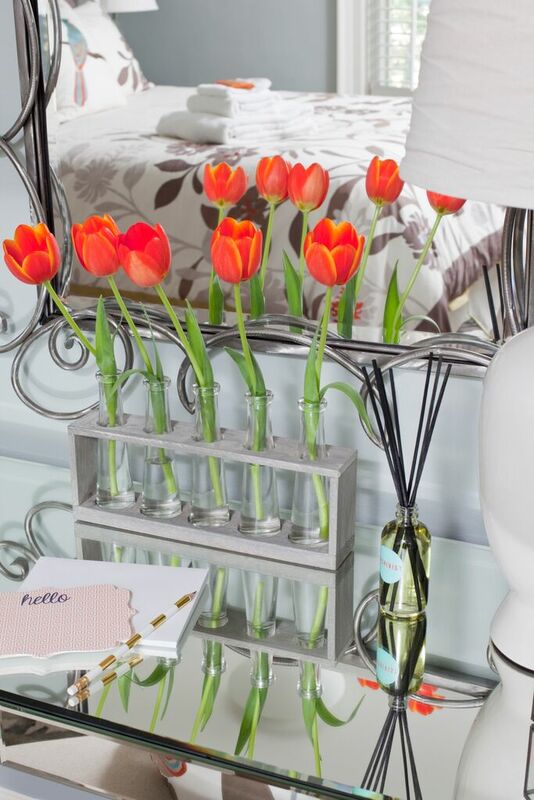 I say every room should have fresh flowers! It brings life and beauty to everything. To make your guests feel at home, think of the little things that make a big difference, like this personalized TV guide. If you know your guests love traveling and history be sure to include picks such as the Travel Channel, National Geographic, and the History Channel to their personalized TV guide. They will notice your hospitality and thoughtfulness! 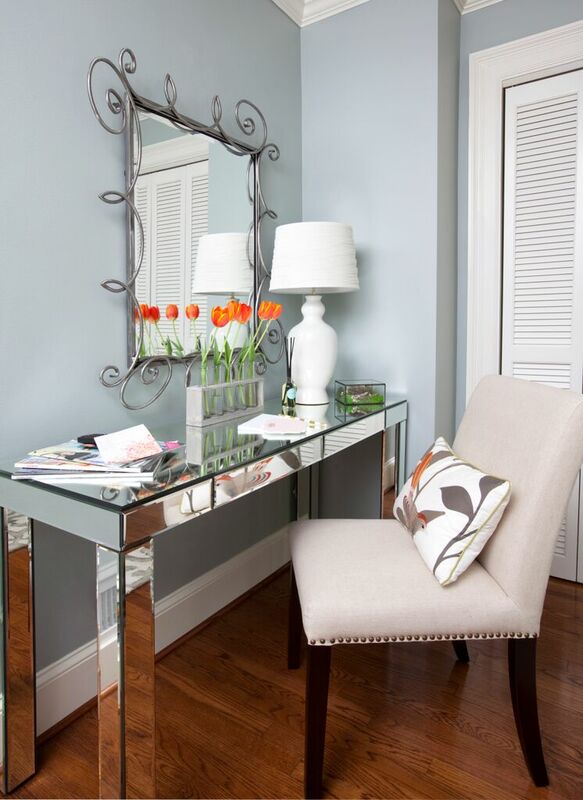 Placing a mirror above a writing desk adds versatility, as this desk can now be used as a vanity for the guest while they are getting ready for the day. 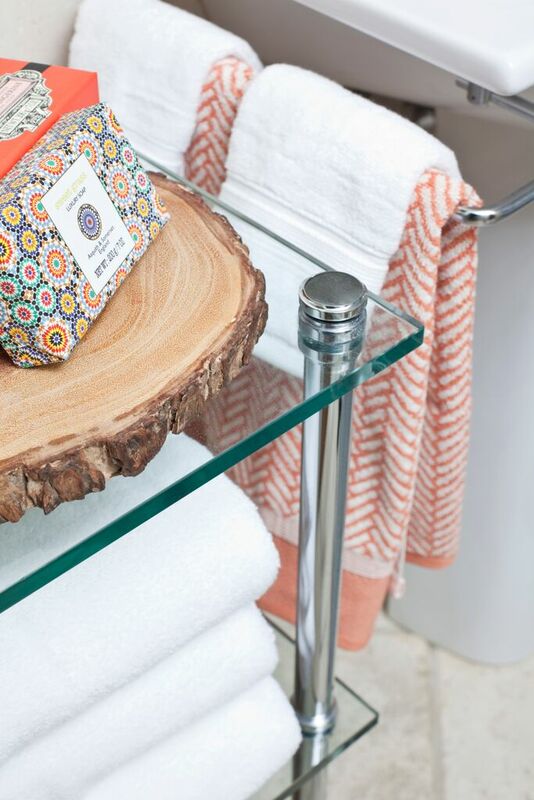 We love having one furniture piece that can be used in different ways. 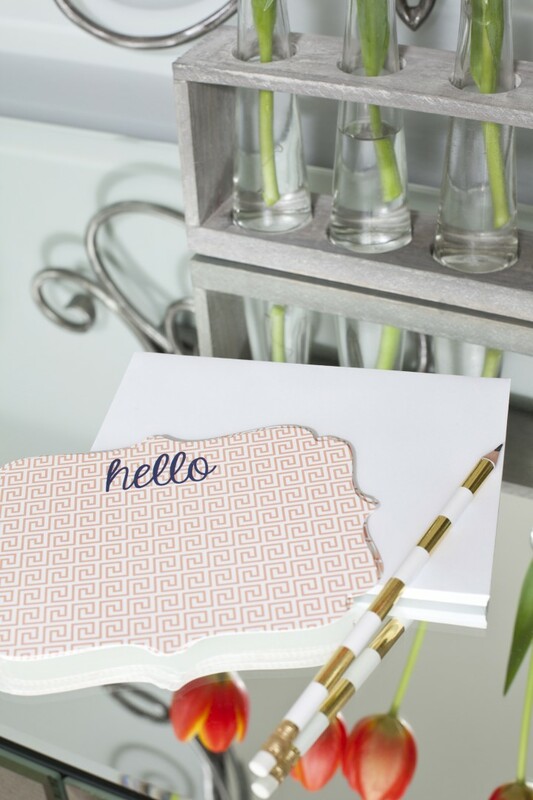 Note cards and pencils or pens placed on the desk completes the “Boutique Hotel” feel. 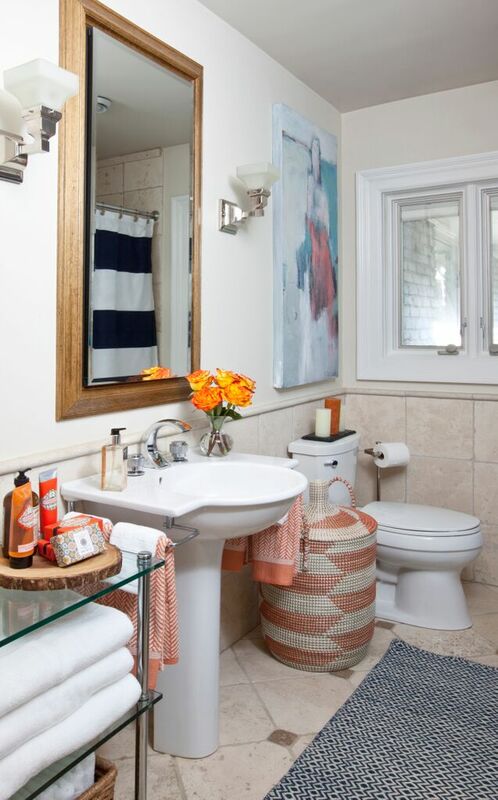 Who doesn’t love fluffy white towels and a soft, cozy bath mat?! 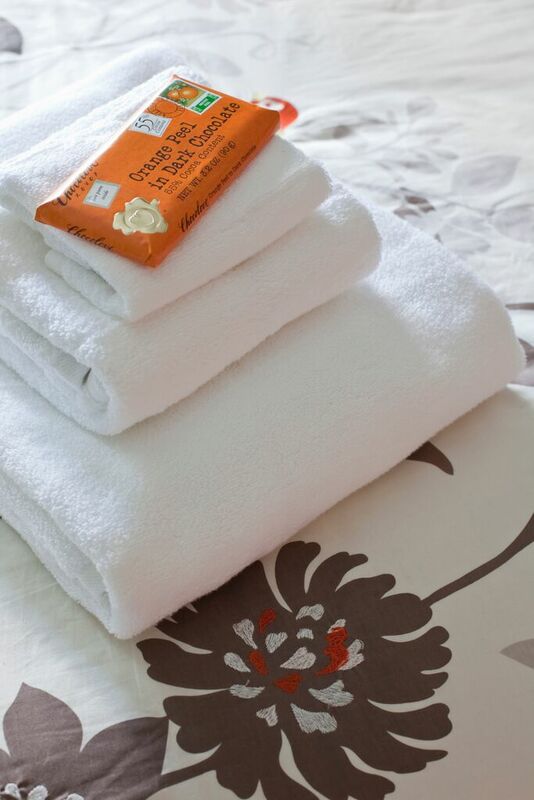 Anything reminiscent of a luxury hotel is key in making your guests feel right at home. One of our favorite places to find pretty packaged soaps and lotions is World Market. 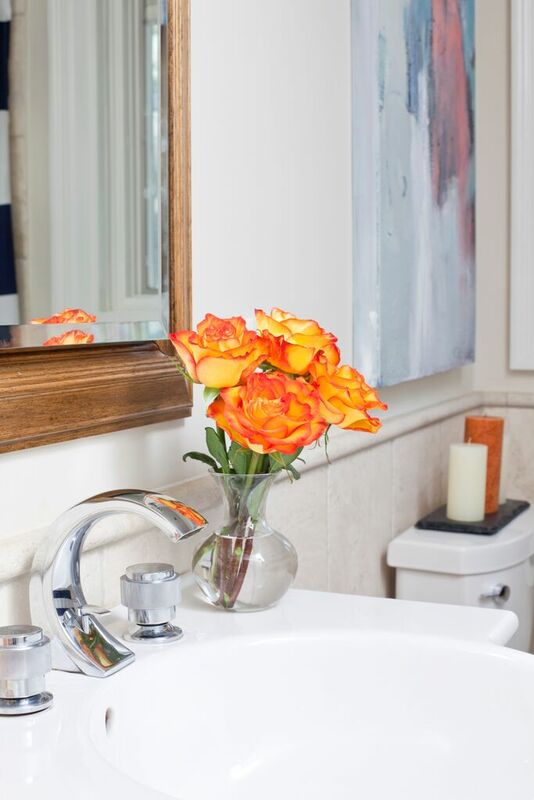 You can instantly add color and luxury with special soaps like this. 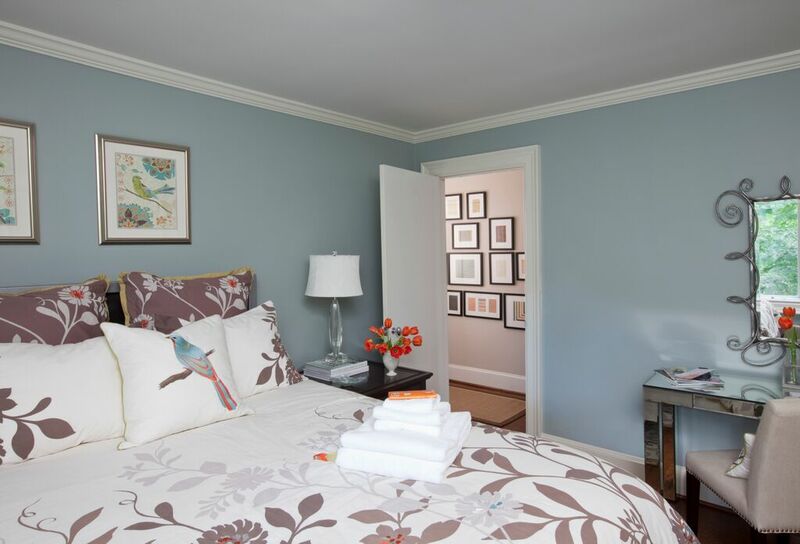 Touches of the same colors used in the guest room(s) makes the bathroom feel connected to the bedroom – even if it is down the hall. We hope you’ve enjoyed this checklist and that you have a wonderful holiday with family and friends!